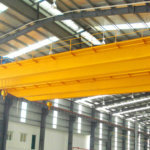 Overhead gantry crane is a variant of the bridge crane, also known as gantry crane. Mainly used for outdoor freight yard, expected field goods, bulk cargo handling operations. Its metal structure resembles a door-shaped frame, with two legs mounted under the main girder, which can be directly tracked on the ground. The two ends of the main girder can have outrigger cantilevers. 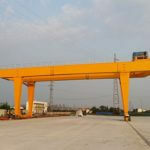 Gantry crane has the advantages of high site utilization rate, wide operating range, wide adaptability, and versatility. It is widely used in the port yard. 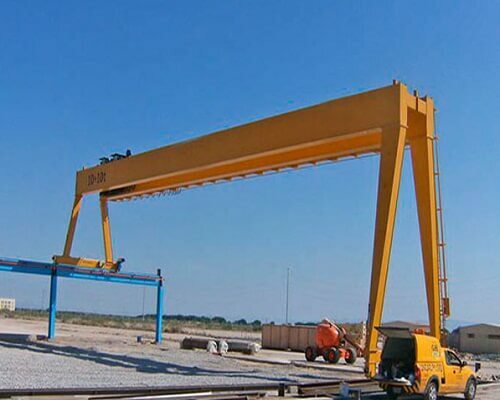 Semi-gantry crane: legs have a height difference, can be customized according to the civil construction site requirements. 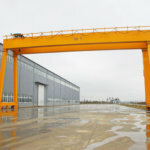 Double cantilever gantry crane: the most common form of structure, the structure of the force and the effective use of space are reasonable. 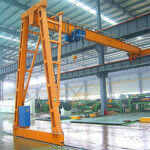 Single Cantilever Gantry Crane: This structure is often selected due to site constraints. 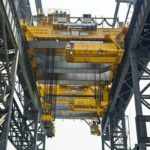 Corrosion protection of gantry cranes is a very important task because it is very dangerous to be anticorrosive because it is very dangerous to work in the air since it is not done in advance. Now we introduce the gantry anti-corrosion quality assurance measures and construction safety measures. Timely and accurately fill in the test records, the construction problems found in a timely manner to the higher authorities, to resolve the program approval before implementation. Flammable waste during the construction of anti-corrosion coating of gantry crane should be properly stored and burnt regularly.